Being imbued with Uncle Ho’s thought on patriotic emulation, during the anti-French resistance war, compatriots and soldiers of the Southeast region enthusiastically participated in such large-scale movements as “Diệt giặc đói, Diệt giặc dốt, Diệt giặc ngoại xâm” (Eliminate hunger, Eliminate illiteracy, Eliminate foreign aggression), “Hũ gạo kháng chiến” (Rice jar for the resistance war), “Con gà cứu quốc” (Chicken for national salvation), “Bụi chuối yêu nước” (Banana tree for patriotism), etc. These contributed to encouraging the compatriots and soldiers of the Southeast region to work zealously and to practice thrift against hunger, to study hard against illiteracy, and to strive to kill the enemy as a brilliant feat against foreign aggression. In the spirit of “paddling their own canoe” to serve the resistance war and care for the people’s life, the resistance authorities encouraged large-scale production activities that squared with localities’ specific circumstances on the one hand, but waged the economic struggle with the enemy to smash their plot to “feed war with war” and combated illiteracy on the other hand. In response to Uncle Ho’s appeal, thousands of intellectuals, civil servants and skilled workers relinquished their fulfilling city life to fight in the resistance war. This substantially contributed trained manpower to the defense industry. By the end of 1949, there were 58 arms workshops staffed by 9,000 cadres and workers. Despite lack of material, machinery and expertise, everyone imbued with burning patriotism strived to foster their creativity in arms production to meet the requirements of the resistance war. On the battlefield, the soldiers and people of the Southeast region closely cooperated with their peers across the country in launching guerilla warfare, ambushes and raids, thereby achieving feats of arms to expand liberated areas as evidenced by the battles of Đất Cuốc, Đồng Xoài, La Ngà - Định Quán. This was also the time when the political struggle in urban areas intensified to the utmost degree. That the war of resistance intensifying in all aspects and frustrating the enemy’s pacification program greatly contributed to easing the pressure on all fronts, smashing the French colonialists’ strategy “attack fast, win fast”, and leading to their force dispersal and resultant failure to win the decisive victory on the battlefield of North Vietnam. The courage and indomitableness by the soldiers and people of the Southeast region greatly contributed to the whole nation’s Dien Bien Phu historic victory which “resonated throughout the five continents and shook the globe”. During the anti-American resistance war for national salvation, the Dong Khoi movement emerged in South Vietnam and emulation movements sprang up on all fronts, particularly following the Party Secretariat’s Resolution on stepping up the patriotic emulation movement on the 26th of January, 1961. To name but a few, they included the emulation movement “Ap Bac kills the enemy as a brilliant feat” aimed at encouraging our soldiers and people to avert the American imperialists’ “special war”, the movement “Patriotic emulation to fight the American aggressors” under the four slogans: “unite as one for the resistance”, “kill the enemy as a brilliant feat”, “stimulate production thriftily” and “study harder to get ahead”. As the anti-American resistance war for national salvation intensified, emulation movements gathered greater momentum such as emulating the example set by heroic martyr Nguyen Van Troi who had turned hatred into strength and determination against the American aggression, resolutely fighting the enemy in retaliation for Nguyen Viet Xuan under the slogan: “aim straight at the enemy and fire!”. The appeal for patriotic emulation was realized flexibly depending on each stage of the revolution and each locality under the slogans: “Cling to the land, protect villages”, “kill the enemy as a brilliant feat”, “hunt the American aggressors to fight them, hunt the puppet troops to kill them”, “grab their belts to fight them”, “spread out the enemy to fight them, encircle the enemy to kill them”, etc. With physical and mental efforts, the armed forces courageously defied all the odds to fight the resistance war while building the country, which led to feats of arms going down in history, such as the battles of Binh Gia, Bau Bang, Dau Tieng, Phuoc Long, the 1968 General Offensive and Uprising, and so on. Since the country was reunified and embarked on Doi Moi, under the leadership of the Party, patriotic emulation movements have been in full swing. Many provinces and cities in the Southeast region, such as the provinces of Ba Ria – Vung Tau, Dong Nai and Binh Duong and Ho Chi Minh City to name but a few, have become economic hubs, joining the rest of the country in achieving the goals of socio-economic, cultural development, defense, security, foreign affairs and international integration. The province of Ba Ria - Vung Tau has focused on developing the oil and gas industry, tourism and the maritime economy, generating about 11% of the country’s overall GDP and over 30% of the State budget. In the spirit of “rolling out the red carpet for investors”, the provinces of Dong Nai and Binh Duong have witnessed tremendous progress made in their industry and achieved two-digit annual economic growth rates. Ho Chi Minh City, where a lot of emulation movements have had far-reaching influences, including “Hunger eradication and poverty reduction”, “Houses of Gratitude”, “Houses of Charity”, “Student Volunteers”, is striving to become the first-ever smart city in Vietnam. Together with its equals across Vietnam, Military Region 7’s patriotic emulation movement has greatly contributed to the country’s sustainable socio-economic development and all-people national defense building. While promoting the “Determination to win” emulation movement in the interests of political tasks, Military Region 7’s armed forces have closely cooperated with local authorities in integrating the former’s “Determination to win” emulation movement with the latter’s patriotic emulation movements. Military Region 7’s affiliates have enthusiastically participated in “repaying debts of gratitude” activities, the campaign “join hands in building new-style rural areas” associated with the campaign “the entire country join hands for the poor – No one is left behind” launched by the Government. At the same time, they have successfully conducted search and rescue activities and effectively dealt with complex social and security issues arising at grass-roots level, thereby contributing to firmly maintaining political security, social order and safety. Moreover, Military Region 7’s armed forces have effectively implemented policies regarding military families and mass mobilization work while joining the locals in the socio-economic and cultural development and the building of the “people’s hearts and minds” posture. The locals and local authorities have always had Military Region 7’s armed forces for true companionship characterized by their “Determination to win” emulation movement, which has earned the latter effusive praise and great trust from the former. In the years to come, Military Region 7 will continue to promote the “Determination to win” emulation movement in line with Ho Chi Minh’s thought in order to motivate its affiliates to successfully fulfil their assigned tasks. Emphasis will be placed on the following. First, promoting education in the interest of heightened awareness among cadres and soldiers of the importance attached to the emulation and reward work. 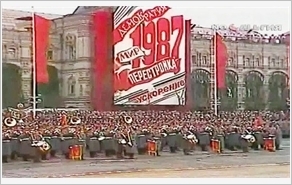 Accordingly, agencies and units should thoroughly grasp the Party’s lines and guidelines, the State laws as well as directives and resolutions by the Central Military Commission and Ministry of National Defense concerning patriotic emulation movements, the “Determination to win” emulation movement and the emulation and reward work. Special attention should be paid to President Ho Chi Minh’s thought on patriotic emulation and the 11th Politburo’s Directive No.34, dated April 7th, 2014 on continuing to renovate the emulation and reward work so as to rekindle self-reliance, self-discipline, indomitableness and creativity among individuals and collectives, thereby energizing them in areas of activity. Second, enhancing the leadership by Party committees, fostering a sense of responsibility by commanders and functional agencies and promoting exemplary and pioneer roles by cadres and Party members concerning the emulation and reward work. Party committees and commanders at all levels should focus their leadership on emulation movements, the effectiveness of which should be a yardstick of cadres’ performance. At the same time, Party organizations should promote exemplary and pioneer roles played by cadres and Party members so that they will truly form the nucleus of emulation movements. At the same time, the quality of advice and guidelines by political agencies, advisory roles by commissions for emulation and reward and pioneer roles by mass organizations should be promoted when it comes to emulation movements. Third, making the “Determination to win” emulation movement focalized and associated with political tasks. Importance should be attached to making Party organizations pure and strong, making agencies and units comprehensively strong, making mass organizations exceptionally strong, enhancing the quality of advice for local authorities on military and defense tasks, as well as building defense zones to firmly protect national sovereignty along land, maritime and island borders. At the same time, the “Determination to win” emulation movement should be closely associated with patriotic emulation movements. Agencies and units should enthusiastically participate in socio-economic development, new-style rural area building, hunger eradication, poverty reduction and mass mobilization whereby fine qualities of “Uncle Ho’s soldiers” will shine brightly. Fourth, renovating the organization of the “Determination to win” emulation movement to meet the new requirements of realities. Agencies and units should take appropriate measures to realize the “Determination to win” emulation movement in line with their specific circumstances. In the meantime, the “Determination to win” emulation movement should be closely combined with other large-scale campaigns such as “Promoting traditions and devoting talent to deserve to be Uncle Ho’s soldiers”, “Military Region 7’s armed forces participate in new-style rural area building”, “Managing and using materiel effectively, durably, safely, thriftily and traffic safety”, “Military logistics industry follows Uncle Ho’s teachings”, and so on. Fifth, actively identifying, nurturing and multiplying role models associated with emulation and reward. Role models such as “good person, good deed” emerging from emulation movements should be popularized, honored and multiplied. Commissions for emulation and reward should closely cooperate with functional agencies and the media in making TV, radio pograms, documentaries, etc., about patriotic emulation movements and the “Determination to win” emulation movement. The emulation and reward work, which should be implemented properly and opportunely, should mainly depend on the performance of political tasks. Emulation movements should be regularly reviewed so that shortcomings can be fixed on a timely basis. The effective implementation of the above-mentioned measures will encourage Military Region 7’s armed forces to strive harder to join the locals in promoting the “Determination to win” emulation movement associated with patriotic emulation movements, greatly contributing to successfully fulfilling military and defense tasks.